What is the Employment and Investment Incentive Scheme? The Employment and Investment Incentive Scheme ("EII Scheme") is a tax relief incentive scheme, (previously the Business Expansion Scheme ("BES")), which provides all-income tax relief to Qualifying Investors for investments in certain qualifying small and medium sized trading companies (”SMEs”). The EII Scheme offers one of the few remaining income tax reliefs and is one of the few sources of total income relief (which includes, for example rental income). 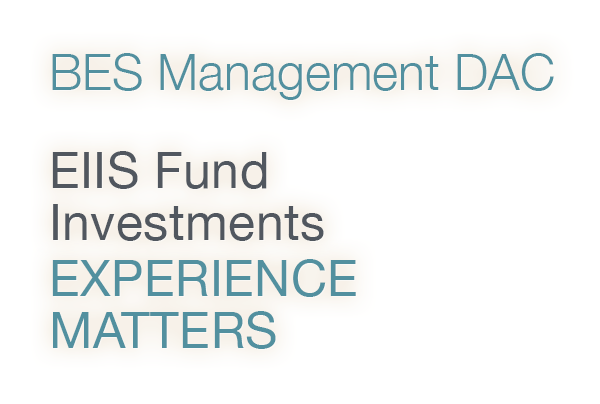 BES Management Designated Activity Company is regulated by the Central Bank of Ireland. BES Management DAC. is a joint venture company owned by Davy and BDO. J&E Davy, trading as Davy, is regulated by the Central Bank of Ireland. Davy is a member of Euronext Dublin and the London Stock Exchange. BDO is authorised to carry on investment business in the Republic of Ireland by the Institute of Chartered Accountants in Ireland. For information on our BES Tax Advisory Services please view our Tax Advisory Page on the BDO website. Warning: The information contained herein does not purport to be comprehensive, all inclusive or to contain all the information that a prospective investor might reasonably require in considering an investment in the Fund. It is strictly for information purposes only and must be read in conjunction with the Prospectus. This information does not constitute advice or a recommendation in any way. It does not take into account the knowledge and experience, investment objectives or financial situation of any particular person. The information contained herein is based on our understanding of current Irish tax legislation and Revenue guidelines. Prospective investors are advised to make their own independent commercial assessment of the information contained and obtain independent professional advice (including inter alia legal, financial and tax advice) suitable to their own individual circumstances, before making an investment decision, and only make such decisions on the basis of their own objectives, experience and resources.